New technologies abound in the iPhone 8 and iPhone X, but one of them is not like the others. Apple has now rolled out its shiny new iPhones. On Sept. 12, Apple executives predictably pronounced the latest phones "revolutionary." But the real revolution is happening under the surface and behind the scenes. The new iPhones come with cutting-edge brand-new features. 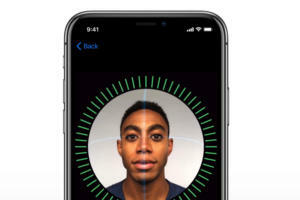 For example, Apple touted Face ID for faster login, Portrait Lighting to make faces brighter in photos, and Animoji, which are avatars that change facial expression when the user does. In typical Apple style, these features offer easy security, aesthetic beauty and whimsy, respectively. What they all have in common is artificial intelligence (A.I.). The iPhone 8 and 8 Plus (and the upcoming iPhone X) are powered by Apple’s A11 bionic processor, which is a six-core SoC optimized for A.I. Some users and pundits are disappointed with some aspects of the iPhones. But to build a processor like the A11 into a phone (instead of a supercomputer) is revolutionary without question. Not only can this six-core chip fire all cores simultaneously, it’s really fast. Benchmarks are showing that the A11 blows away the newest iPad Pros in performance and is closer to Apple’s fastest laptops. The revolutionary bit, however, is dedicated hardware Apple calls a “Neural Engine." This part can perform up to 600 billion A.I.-specific operations per second. 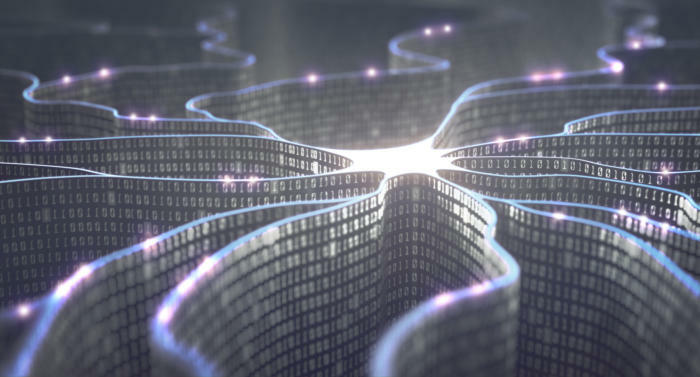 The “Neural Engine” is designed to work with Apple's Core ML developer tools, which exist for app developers to gain easy access to the power of machine learning. Thanks to this complete A.I. system, iOS developers can plug A.I. into otherwise mundane apps. Today, a tiny fraction of the available third-party iPhone apps use machine learning. Within a few years, most of them probably will. The revolution is the mainstreaming and genericization of A.I., becoming as easy to access as electricity. A.I. is by far the most important technology currently emerging. But even industry experts fail to understand the nature of the coming revolution. Once every few decades, a new technology comes along that changes everything. These technologies change everything because they can transform existing technologies, and also enable new ones. Before electricity came along, we had light in the form of candles and lamps. We had hand-cranked wringers and clotheslines to dry clothes. We had gas and wood-fired ovens. We had fireplaces to cook and heat the house. We had ice boxes to store cold food. After electricity, we got light bulbs, clothes dryers, ovens, electric heaters and refrigerators. We also got hot running water, toasters, vacuum cleaners, air conditioners and a thousand other home appliances. Then, in addition to applying electrical power to comfort and convenience, all-new things emerged that few even dreamed of when electricity first became ubiquitous. TV, the internet and smartphones, to name a few big ones. When the first cities were wired for electrical power, few could envision W-iFi, social networking and GPS. Electricity made the existing things in use more powerful and convenient, and it made new things possible that nobody could have imagined. In hindsight, it would have been absurd in the year 1900 to compare the light bulb with electricity as technologies. The light bulb is a specific set of applications with a specific purpose (to light and sometimes to heat). But electricity is an underlying, foundational technology. That same error is applied when commentators categorize, say, augmented reality with A.I. They’re not in the same league. Not even close. In fact, no emerging technology is truly comparable to A.I. While augmented reality (mixed reality, 360 video, virtual reality and all the rest) will have a giant impact on human life (as did the light bulb), A.I. is the technology that will change absolutely everything – including augmented reality. Like electricity, A.I. will prove to be an underlying, foundational technology that “powers” everything else. If you were to list the emerging technologies that will define the coming few decades, these might include augmented and virtual reality, self-driving cars, gene therapy and many others. But none of these are possible without A.I. Everybody talks about A.I, but misconceptions predominate those discussions. First of all, A.I. is a vague, non-specific label that even experts don't fully agree upon. It's also become a marketing term, adding to confusion. In general, A.I. happens when a computer does a task that used to require human intelligence. These include learning, decision-making, speech and visual recognition, natural speech and language translation, as well as pattern recognition. It’s a clumsy definition. Because A.I. also does things no human could ever do. You can also look at A.I. as an umbrella term that covers a wide range of computer science specialties, including machine learning, deep learning and many others. For example, some in the industry talk about machine learning as separate or different from A.I. In fact, machine learning is a subset of A.I (and deep learning is a subset of machine learning). The public and press often talk about A.I. as a future or edge-case technology (as with chess-playing computers), when in fact most of us already encounter A.I. every day. Social networks use it heavily, and for a broad range of tasks. Facebook's algorithms and face-recognition features use it. The company's DeepText technology aims to understand the intent of various posts on the network and also Messenger. Google Maps, as well as Lyft and Uber, use A.I. to estimate how long it takes a car to move through traffic. Airplanes are piloted significantly by A.I. Boeing 777 pilots manually pilot their airplanes for an average of seven minutes per flight. The rest is controlled using A.I. autopilot. Spam filters, auto-categorization and Google's Smart Reply feature use it, too. So do banks, which use A.I. for fraud detection, mobile deposits, credit checking and other tasks. So while the public thinks about A.I. as some kind of sci-fi, futuristic possibility, they benefit from it every day. It's time to change our thinking about A.I. A.I., which has been in development for decades, is more than just another major technology. It’s the technology of our age. It is to our lives what electricity was to people who lived 100 years ago. If you were an adult in 1917, you were born in a world before electricity went mainstream. And you would grow old in a world defined by electricity. A.I. will revolutionize medicine, manufacturing, transportation, education and all other aspects of life. What’s truly new is the democratization – the placement of A.I. into everything. Like electricity, it will increasingly become easy to access and necessary to build into everything. And like electricity, A.I. will be used for good and ill, but mostly for good. It will be an engine of unparalleled economic growth. It will free mankind from a world of soul-crushing labor. It will cure disease. Save lives. And open doors we can’t imagine today. But first, it will make iPhone apps a lot cooler. Disinformation as a service? DaaS not good!